This week we will examine the many differences and similarities in the process of applying for VA disability benefits and Social Security benefits. In our next blog on the VA we will cover the standard to get granted/approved by the VA and Social Security Administration systems as well as the differences in benefits. Both the Department of Veterans Affairs, as well as the Social Security Administration, are governed under federal law and thus apply equally across all 50 states. Both have components made up of an agency system governed by administrative law as well as the ability to appeal to the court system. 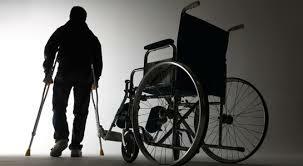 In the VA disability system, you start by filing an initial claim for disability compensation. You then receive a rating decision from your regional office. If you disagree with that decision, meaning that VA denied benefits or gave you a rating that you think is too low, you can file an appeal with that rating decision. This appeal is called a Notice of Disagreement. There are several intermediary steps that follow, but the next real decision-making process happens before the Board of Veterans’ Appeals, which is made up of administrative law judges, or veterans law judges. In the social security system, the process begins the same way, by filing your initial claim. If you lose at the initial claim level, meaning benefits are denied, you then file a reconsideration application. If benefits are denied at that level, you then have a hearing before an Administrative Law Judge. The hearing before the Administrative Law Judge is roughly the equivalent as a hearing before the Board of Veterans’ Appeals. One substantial difference between getting to this point in each system is the time frame. In the Social Security process, the average timeframe from filing your initial claim to get a hearing is 18-24 months in the New England area. In the VA process, time moves much slower, depending on where you are in the country. In the New England area, it might take 2-3 years from the date you file your claim to the date you have a hearing. In other parts of the country, it can take up to 5 years. In the VA disability system, the next step in the appeal process takes us out of the agency, or administrative process, and moves into the court side. You would appeal to the Court of Appeals for Veterans Claims (“CAVC”), which is an independent federal court created for the sole purpose of hearing veterans’ appeals. This is the equivalent of a federal district court. If you lose at the CAVC, you can appeal to the United States Court of Appeals for the Federal Circuit, though these appeals are rare. On the Social Security side, there is an additional step at the administrative level. If your reconsideration application is denied, you can appeal to the Appeals Council. If you lose there, it switches to the court side and you can file an appeal with the Federal District Court in the jurisdiction where the claimant resides. In theory, both administrative processes are non-adversarial systems, meaning that there is no prosecutor or attorney assigned by the government to defend against you receiving benefits. However, on the VA side, once your appeal moves to the CAVC, an attorney is appointed by the government to represent VA’s interest. Remember to check out our next blog on the VA when we will cover the standard to get granted/approved by the VA and Social Security Administration systems as well as the differences in benefits. Rob Levine & Associates specializes in Personal Injury throughout Rhode Island, Connecticut and Massachusetts, as well as Social Security Disability and Veterans Benefits throughout the country. As “The Heavy Hitter ®” Rob Levine not only works hard on your case, but also believes in making a positive impact in the communities he serves. Through internal resources, education and volunteerism, Rob Levine & Associates strives to help prevent accidents, as well as raise awareness around the needs of our elderly and returning Veterans. For more information visit www.roblevine.com, or call 401.529.1222 or toll free 800-529-1222.